How can you question any company when it is doing good? Isn’t doing good, or intending to, enough? Why don’t you spend time putting down companies that aren’t even trying to do good? My response to that is straightforward: my intent was not to denigrate Toms Shoes, but rather, to question the impact of local economies where they gave away millions of shoes. I also highlighted the criticisms of those who thought there was a better way. I think it is important that any business and its consumers think long and hard about the end result of their charitable causes. Is it fair to put the fate of developing countries on a business? Can a business truly effect ‘the root cause of poverty” that’s often rooted in history, culture, politics, geography etc.? Such solutions require a willingness of the people that live in that country and the support (or pressure) of other countries. So the criticisms of Toms is a bit harsh. However, any business that makes a profit by linking its product or brand to supporting those in need, should expect that it will be questioned by the same medium it used to build its business. I agree that helping employ locals would be a better service than giving away product; however, at least their doing something. They cared. More than I can say about most of those criticizing Toms. I actually do not think that the criticism of Toms is harsh – I think it’s necessary, and Toms obviously does too. As mentioned in the post, the company has taken heed and is planning to build a shoe manufacturing plant in Haiti that will benefit the local economy. Sam’s correct, it is asking to much to expect business to eradicate the root causes of poverty in developing countries. However, there are businesses that can serve as excellent models for social responsibility. Nisolo is one company I highlighted last week; this week we want to look harder at how they do good. The concept for Nisolo was born when its CEO, Patrick Woodyard and his partners Nick and Zoe, were working in Trujillo, Peru with the Peru Mission. He stumbled upon the husband of one of his clients making hand made shoes in his humble home. Amazed by the quality, Woodyard looked further into Trujillo’s shoe making past and discovered that there were over 3,000 local cobblers, most struggling to make a living. Peru imported mass produced and cheaper products, which had hurt the individual shoe making economy. Woodyward realized that the West would not only admire, but purchase the high quality hand made products the local shoe makers were crafting. He also understood that his company could have a lasting impact. We have found that in many cases, the greatest need in the developing world is not for material donations of shoes, clothing, or food. Working to provide in this manner is a way of addressing the “effects” of poverty (lack of shoes, lack of clothes, hunger etc.) Instead, our goal is to address one of the main causes of material poverty: lack of a consistent job or livelihood. For this reason, we have chosen to focus our cause on the most important factor in establishing access and opportunity in a sustainable manner: Job Creation. Our goal is to provide an opportunity for those willing to work to be able to fulfill their aspirations. Starting with shoemakers in Peru, our vision is to serve as a springboard for impoverished entrepreneurs around the globe. As we grow, they will grow. As they grow, their communities will grow. As these communities grow, our world will change for the better. Nisolo was officially launched in October of 2011. Since that time the company has sold over $500,000 worth of shoes through it’s website, retail partners and special events. They haven’t spent a penny on advertising yet. In Patrick Woodyards impressive talk, he makes it clear that they have big plans. Nisolo plans on becoming a major retail brand. Nisolo started with 2 artisans and now numbers more than 30. The average income of each artisan has soared 400%. Unlike many of the companies we feature, Social Media is not an integral element for Nisolo yet. Their Facebook Page has a healthy number of 5,000+ followers, but their own posting is relatively sporadic. The comments by others shows how ripe Nisolo is for social media explosion, as they are being mentioned by other pages and publications. Nisolo’s Twitter Page has a modest 4,000+ following and follows the same pattern of sporadic posts, primarily during business hours. The company does have a Pinterest profile, although it is not linked to their website you can find it on their Facebook tabs. Their Instagram account is also linked to Facebook. What this appears to indicate is the common problem faced by many start ups; there are loads of wonderful, social media friendly stories to tell, but not enough manpower or expertise to get it done. At ArCompany we see the obvious potential for a product that is both visually appealing and has so much potential for shareability. The success of Toms, and the growing success of both Nisolo and Warby Parker for that matter, illustrate that consumers do feel a sense of social responsibility to those less fortunate. We may question the long lasting impact of the old Toms structure, but we do understand that the company has good intentions. The rapid growth of all three companies makes it clear that there is a growing movement of consumer accountability. Consumers, especially the maturing Millennial market, are not solely focused on their own consumption. Yes, buyers still want fashion and they want to look good, but they are more willing to spend for those items if they feel that they are simultaneously doing good. In Woodyard’s talk showcased in the above video, he asks his large audience to look down at their footwear. He asks “Do you know who made your shoes?” It’s a poignant moment that makes one stop and think: by purchasing shoes from Nisolo I can make a difference, however small. There are 250 million people in the supply chain of the footwear and apparel industry. So we like to ask, “What would happen if consumers demand that every single person produce goods in an ethical way and also made a fair wage?” We want to push for a culture change with our brand and get consumers behind what we’re doing to help people in the supply chain now and create opportunities for a whole lot more in the long run. 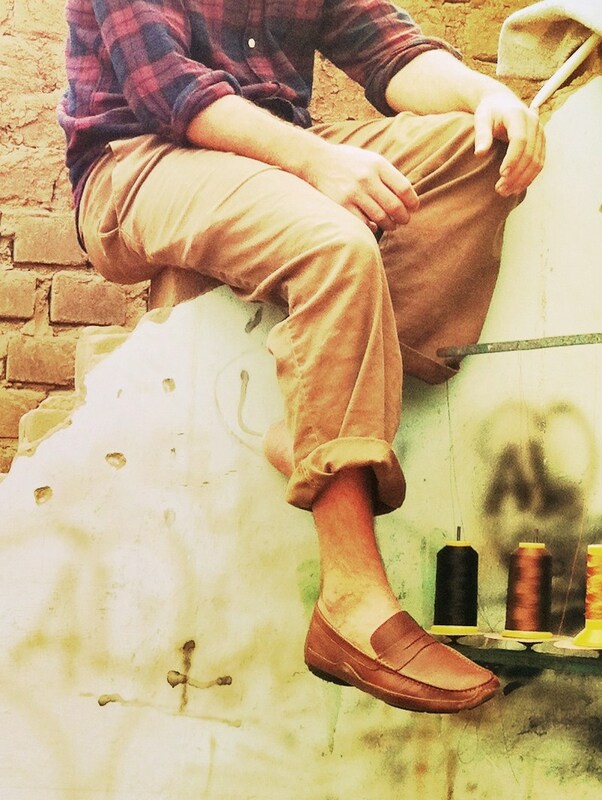 The success of Toms Shoes and the rise of Nisolo are feel good stories we should be inspired by. Of course we recognize that the problems of global poverty are overwhelming, and no, they cannot be solved by business alone. However, as more companies understand that they can make a profound difference if they structure their companies responsibly, what a different world we can build. I like how one post (and Sam’s comments which I agreed with) inspired this one. And you are right – we should be applauding these efforts. Even when flawed, the heart of the brand is generally in the right place. And these companies seem willing to adapt to criticism to fulfill their mission.